JUSTIN’S PICK :: BRAVEST WARRIORS #2: Adventure Time creator Pendleton Ward trades in the fantasy tropes for sci-fi in this charming new series. Hearkening back to the halcyon days of 80s team adventure (think SilverHawks or Voltron), the action is undercut with a quirky and disarming sense of humor. 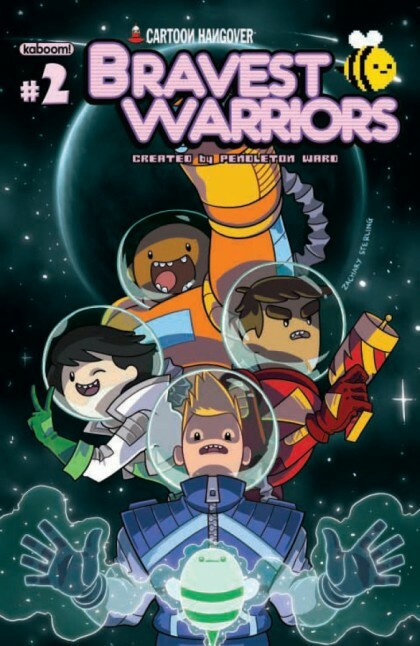 Great for readers young and young-at-heart, Bravest Warriors should please any fan of Ward’s, Adventure Time, or cartoons in general.